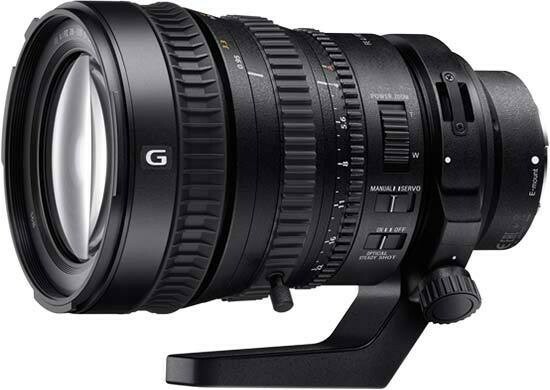 Given Sony’s relatively restricted range of full-frame E-mount lenses, the FE PZ 28-135mm F4 G OSS appears to be a welcome addition if you’re after a high quality zoom lens with a versatile focal range and a relatively large, constant aperture. And the specs do translate to excellent image quality. Centre sharpness is consistently high throughout the focal range, and though there’s moderate corner softness at all focal lengths, stop down to f/11 and sharpness is high right across the frame. Distortion is present at the extreme ends of the focal range, but it’s automatically and effectively compensated for when shooting JPEG or using Sony’s Image Data Converter raw conversion software. You’ll also have to scrutinise shots very closely to find any signs of chromatic aberration. Bokeh blur is fairly smooth, however the lens’ maximum aperture isn’t fast enough to produce the creaminess obtainable with an f2.8 aperture or faster. Particularly appealing to videographers is the powered zoom which provides super-smooth and totally silent zooming. Features like the lockable aperture ring, excellent ergonomics and weather resistance also make the lens well suited to demanding use in a variety of conditions. However, whilst the FE PZ 28-135mm F4 G OSS excels during video recording, it’s less easy to recommend for stills photography. The lens’ huge frontal diameter and hefty 1.22kg weight may be acceptable in the video world, but they make the lens fairly unwieldy when shooting stills handheld on an Alpha 7-series body. The powered zoom isn’t ideal for shooting stills either, lacking the immediacy of a conventional mechanical system whilst also being a slight drain on the camera’s battery. Pair the FE PZ 28-135mm F4 G OSS with a PXW-FS7 video camera and you’ll have a formidable – if pricey – combination for video recording. It’s also capable of great still image quality, but if this is how you’ll primarily use the lens, you’ll effectively be paying a premium for features that aren’t just unnecessary for this purpose, but are actually somewhat of a drawback. That said, this is currently the only constant-aperture Sony lens with this focal range available for full-frame E mount cameras. The FE 24-240mm F3.5-6.3 OSS is less than half the price of the FE PZ 28-135mm F4 G OSS and is also considerably lighter, but it lacks a constant aperture and is unlikely to match the 28-135mm’s image quality. Alternatively, for the same sort of money as the FE PZ 28-135mm F4 G OSS, you could have a Vario-Tessar T* FE 24-70mm F4 ZA OSS as well as the FE 70-200mm F4 G OSS. Both are constant aperture f/4 lenses with premium internal optics and give a greater combined focal range. Although the pairing can’t match the single lens convenience of the Sony FE PZ 28-135mm F4 G OSS, they have a similar combined weight and you get a more versatile, stills-orientated combination.